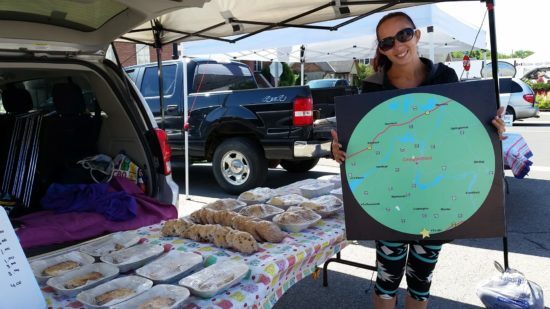 Let’s hope Melissa joins the ranks of successful local business owners who got their start at the Campbellford Farmers’ Market. Did you know that Caroline Bingley (then Glenn), owner and operator of Caroline’s Organics & Floral Design used to be a vendor at our market? Caroline called her stall “Caroline’s Creations”. She sold fresh vegetables, plants, flowers, and preserves. This is a photo from the newspaper in September 2004. Now Caroline’s full service floral and gift shop services ten communities in and around Campbellford. Amazing! Do you remember the delicious baked goods of vendor “Just Like Granny’s”? Melissa Brant Dean was a vendor with us in 2016. She brought all sorts of old fashioned goodies for sale. Her fudge was delicious! 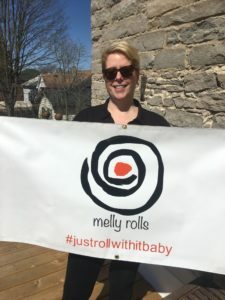 In 2018, Melissa, along with her partner Jeremy, opened a bake shop in Brighton. “Just Like Granny’s” has all of your favourite old fashioned sweet treats as well as savoury dishes to enjoy at home like lasagna, chicken and beef pot pies, cabbage rolls and more! Check out their Facebook page for updates on what is coming out of the oven. We’re so happy for Melissa and Jeremy’s success, and we are proud to have been a small part of their beginnings! And we can’t forget Kristin Dupuis! Kristin Dupuis was a vendor with us for several years selling pasture raised pork. Kristin also brewed up cups of coffee to keep us warm on cool market mornings. 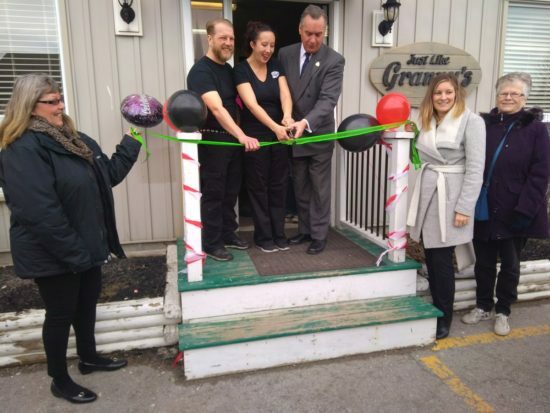 Little did we know then, that Kristin would transfer her love of food, coffee, and all things local, into the recent ownership of Campbellford’s popular downtown cafe “I Am Cofffee“. Congratulations Kristin! But back to Melly Rolls … don’t worry – Melissa’s not going anywhere! She assures me she’ll be a vendor with us for a long time yet! Phew! Music: The Stirling Citizen’s Band – we can’t wait! Thanks for reading, supporting our vendors, and helping to make our market a success. See you on Wednesday and Saturday! One of the things that I love best about being a vendor at the Campbellford Farmers’ Market is the relationships that I’ve developed with my fellow vendors. Did you know that some of our vendors are not only friends but family? Sandra of Russett Farms and Ashley of A2 Baking Creations are the first pair of vendors that come to mind. 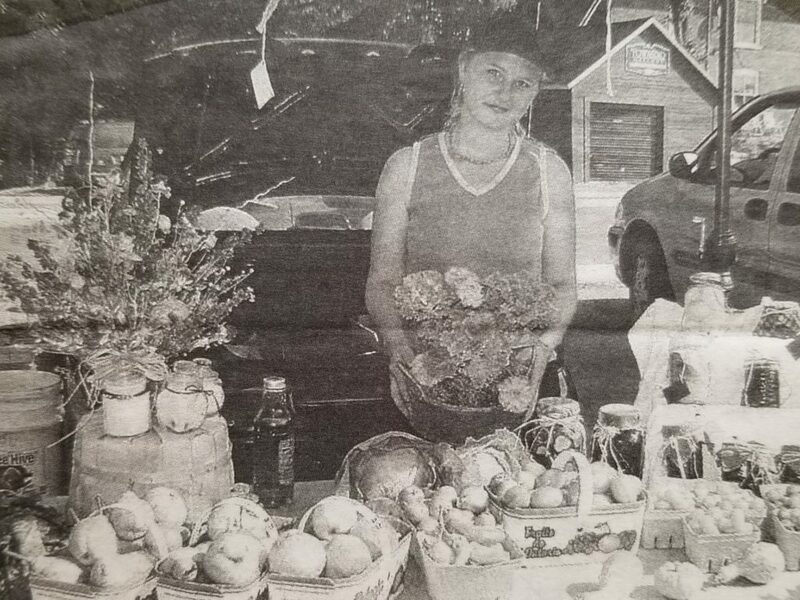 Ashley has been coming to market since she was a girl to help her mom Sandra sell beef and apples from the Russett family farm and orchard. Now, you’ll find Ashley set up in the stall beside her mom selling her home baked pies, tarts, muffins, and cookies. The best bit, is that Ashley uses apples from the Russett orchard in her baking! When Ashley says “homemade” she really means it! Deb and Teah Mattingly are another mother/daughter pair that operate different businesses at the market. Deb is the owner and operator of Havencroft Hounds. She sells organic dog treats (homemade biscuits and dehydrated chicken feet) as well as her colourful dog collars, catnip mats and bags. Deb’s daughter Teah, can be found across the way, as part of The Philosopher’s Scone crew. Teah unleashes her culinary arts training, in *out of this world* perserves, jams, jellies, relishes, and mustards. She uses local ingredients when possible, and has different creations for sale each week. Deb and Teah are nearing the end of two seasons as vendors with us. What fun energy, smiles, and lots of laughs they bring to market each week! We’re joined by local musician Jessamyn Pedersen and fantastic artisans Grey Willow, Sign Design and Art de Claude! If you’re in Campbellford on Wednesday or Saturday morning – bring your family by to meet our family! 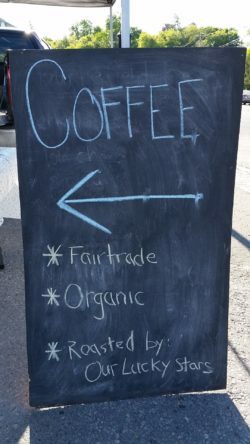 Thanks for reading and we’ll see you this week at market!